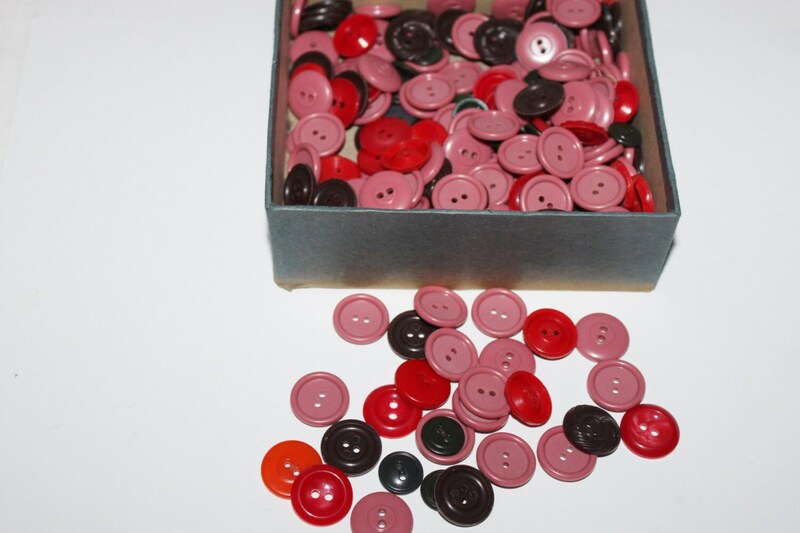 We have for sale a Vintage Mixed bulk lot of ½” to ¾” plastic – does contain some Lucite, mauve, brown, red and black buttons, in an Automatic Button Co, Muscatine, IA pearl button box. 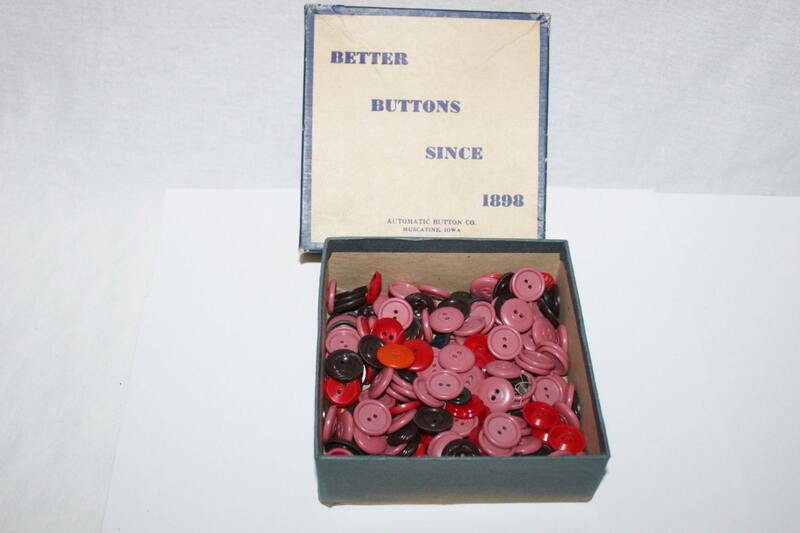 While the original box could hold 10 gross pearl buttons, we estimate there are around 150, 1940s style buttons in the box. 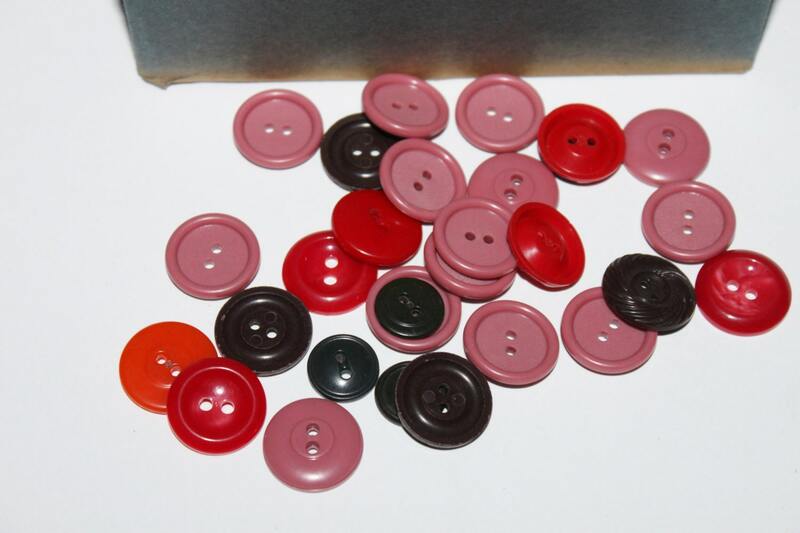 Perfect for a craft project, scrapbooking, craft, jewelry making or matching costumes or uniforms. The box measures 5 ¼ x 5 ¼ x 2”could be used as a sewing / craft room display piece. 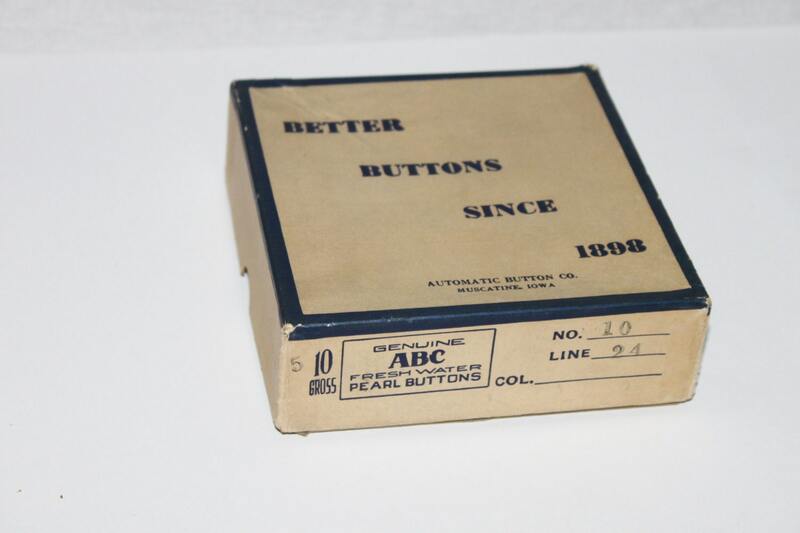 Muscatine, IA reigned as Pearl Button Capital of the World from 1916 through the 1960s.